Please keep Barbie, Ken and Skipper in your prayers because it isn't going so well for the famous family: Lego has just surged past Mattel as the world's largest producer of small tchotchkes that are easily lost and hurt like the very devil when you step on them in the middle of the night. The Wall Street Journal reports that the company recently announced revenues jumped 11 percent in the first half of 2014. Meanwhile, according to Bloomberg, Mattel's sales slumped 7 percent, dragged down by Barbie sales. That was enough to push Lego into the top spot. In the end it's all overpriced plastic, but I've gotta say there's something about Legos overtaking the company that produces so many products like Barbie. You can build whatever you want! Lego Friends notwithstanding, they're relatively gender-neutral! 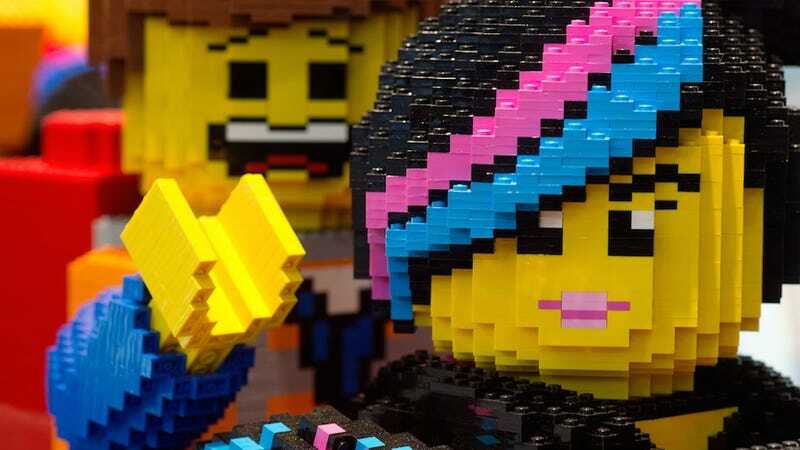 Of course, Lego has just barely taken the lead, and it was specifically thanks to the boost from the very popular Lego Movie—products related to the movie have been a big moneymaker. There's a sequel coming, but it's not due until 2017. And, as the Journal points out, we've still got Christmas to go, which is of course when parents flood American Girl stores nationwide to drop terrifying wads of cash. Plus, Barbie has her own live-action movie project in the pipeline. So Mattel stands a good chance of recapturing the lead. But blondie better start pulling her weight if she doesn't want to start selling her enormous collection of hot pink shoes on Ebay.